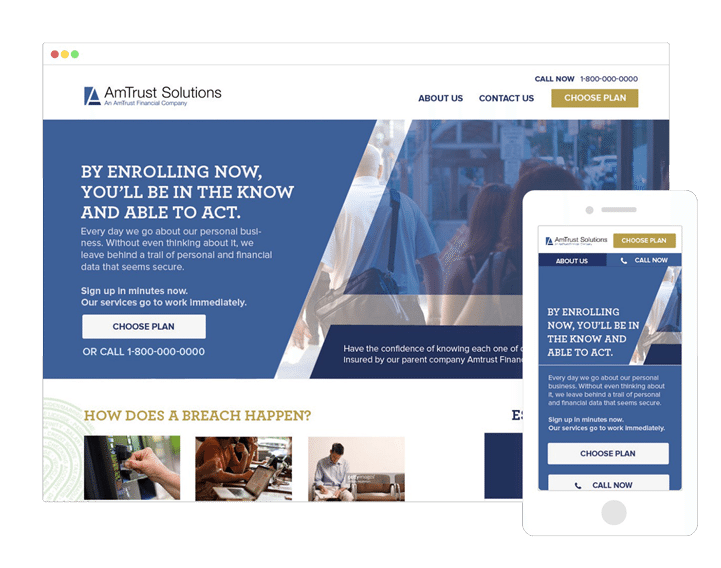 Starting with a clear direction through a strong Discovery process, we worked with AmTrust to develop a visual website design for a financial product of theirs. The site centered mainly around identity protection and creating a powerful case for their product while allowing vendors to sell it as well. Homing in on its key differentiators in a very visual way and answering common questions were our goals. With website design for a financial product, the challenge is really around keeping the right content available so that if people want to really dig into the “why” of the product, they can while getting their questions answered quickly. With identity protection, the market segment is rich with opportunity but also full of competition; first we took a deep dive into what their competitors were doing that was working. We then tried to see if there were opportunities they were missing out on by looking at search trends and demographics. After creating some audience personas for people that would potentially be looking at the site, we knew we needed to keep the emphasis on vulnerability. We needed to represent people in the older Gen X or younger Baby Boomer generations who actually have something to lose if they don’t have identity protection. Only after fully understanding the “why” by wholly digesting the reasoning behind what people are buying into when they buy this financial product could we even begin to create anything of substance for the client. This deep-dive excursion enabled us to start sketching out layouts and workshopping layouts and element opportunities with key members of the AmTrust marketing team. We used our own consultative approach to begin in order to create a clear trust-eliciting layout that hit all of the high notes we needed in order to sell the most of this type of product to this audience. 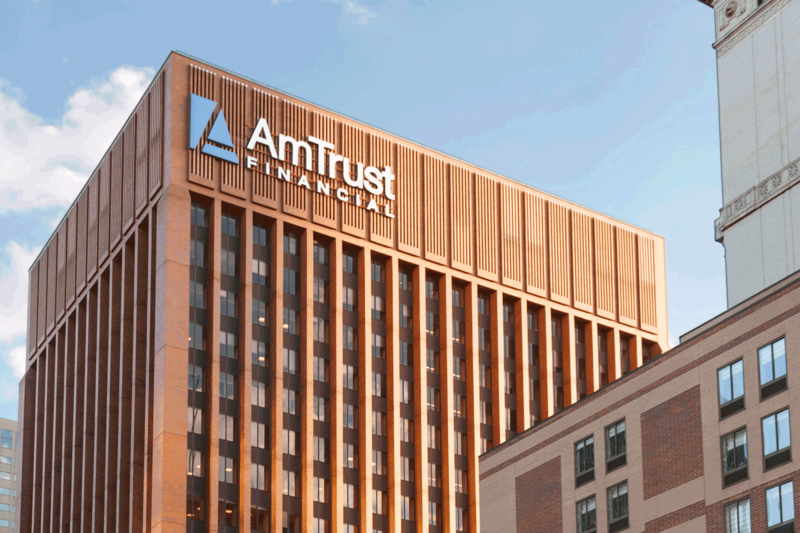 Web designers who get it—that’s what AmTrust needed. 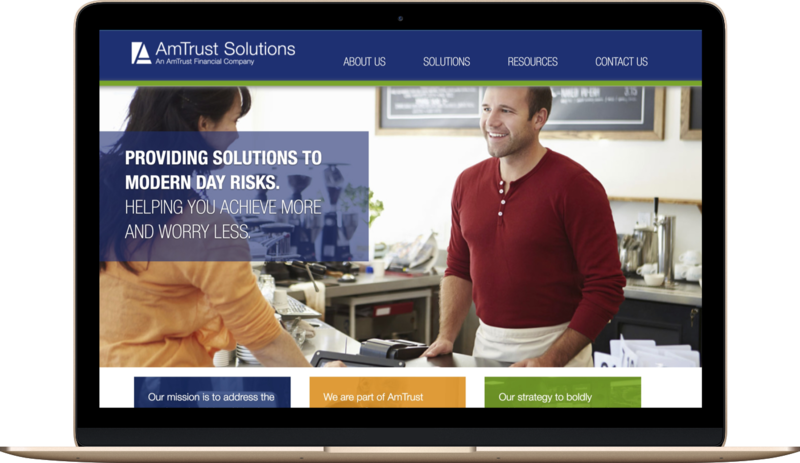 AmTrust needed web designers who take every detail into consideration and make all decisions on the design intentionally in order to elicit the exact response we want from the website visitors.For this project, eliciting responses meant building the audience’s objections into the pitch. 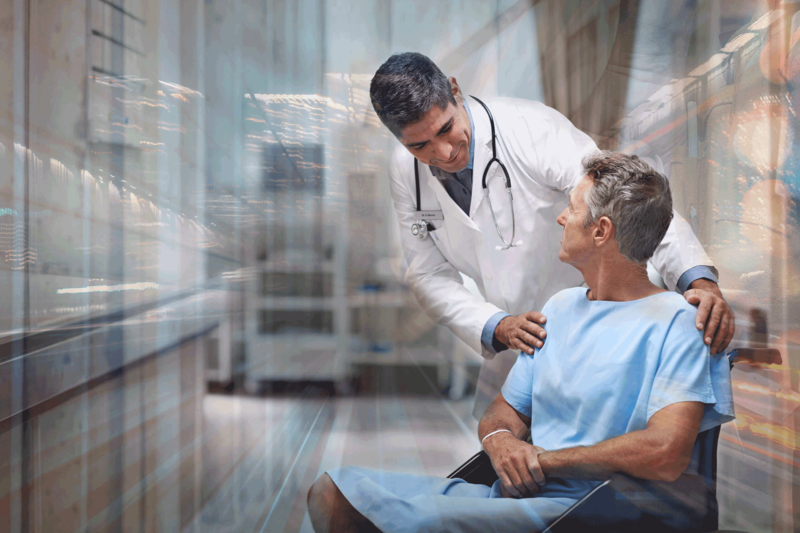 Through our consultative approach, we coached the team at AmTrust to provide us with answers to the top seven questions someone who would buy this product might ask before purchase. Instead of tucking these away and calling it something like “FAQ” that might not ever get read, we put it front and center, helped them trim the answers down to a palatable length, and framed them in an editorial style so they drew a visitor’s attention. Equal attention was paid to the mobile-responsive elements of this financial product’s web design project. No one wants to visit a site on their phone and see that it was paid little to no attention, or find they have to do the pinch and zoom. Mobile traffic is becoming impossible to ignore, and for many companies the opportunity to improve in this area is huge. Whether you’re looking for a team who has experience in financial product web design, a better mobile-responsive web presence, or just know your website could be more professional, we can help. Contact us below to get started.